We have come a long way from the stone ages. Life today, though far more comfortable than yore, has become increasingly complex and cut off from nature. Don’t worry though, you don’t have to run for the hills and renounce your luxuries to experience nature in all her raw glory. What better way to explore the bountiful beauty of nature than to visit the exotic corners of the planet? It is hard to imagine a more beautiful night than one spend under the stars whilst being surrounded by misty mountain ranges and meandering valleys. The Peru based company Nature Vive offers tourists a chance to experience a surreal and magical stay in the lap of nature. 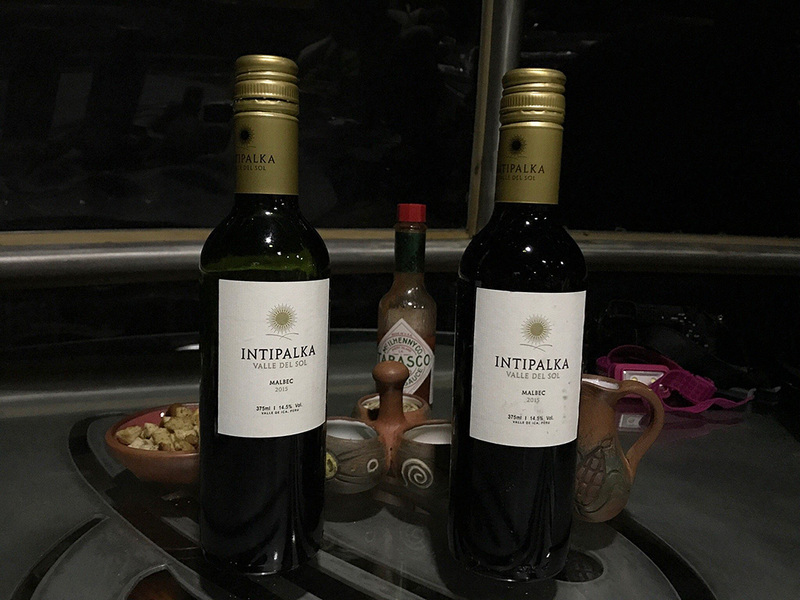 The resort consists of three glass cabins situated above and overlooking the Peru Sacred Valley. To enjoy the view from above, you’ll have to embark on a rather tedious journey, but the view is well worth the effort. There are about 400 vertical steel stairs connecting to the transparent suites. The 122m hiking trail is a steep craggy pathway that you can cover either on foot or via zip lines to reach your suites. 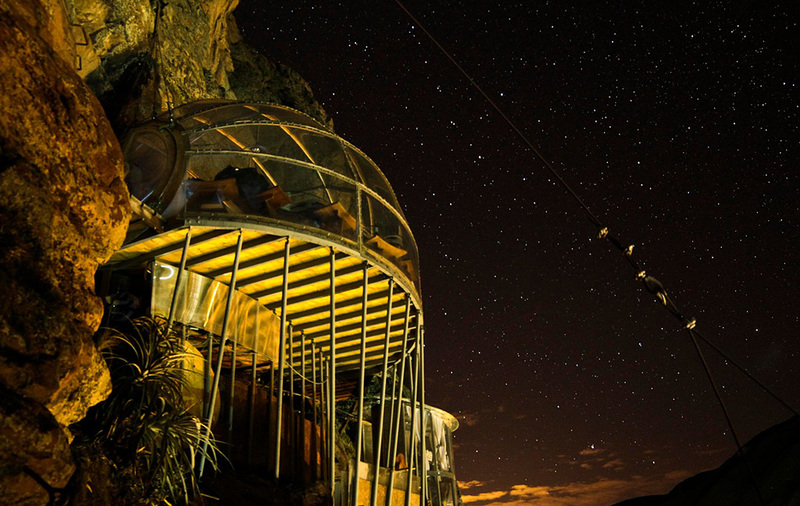 These sleeping pods are set at a height of 1312 feet above the sea level and definitely not for the faint-hearted. The entire structure is made ofaluminum and polycarbonate featuring insulated walls and huge glass covering. The hardened pods and the extreme settingare ideal for solo travelers and adventure lovers who would love to get away from the mundane city life and explore the raw power of nature. The suites are perfect vacationing spots for couples and solo travelers, although kids and animals are not allowed here. Peru is a land peppered with lush green plains, gigantic misty mountains, and meandering valleys. It is a land that boasts of a rich history and heritage spread over many years. 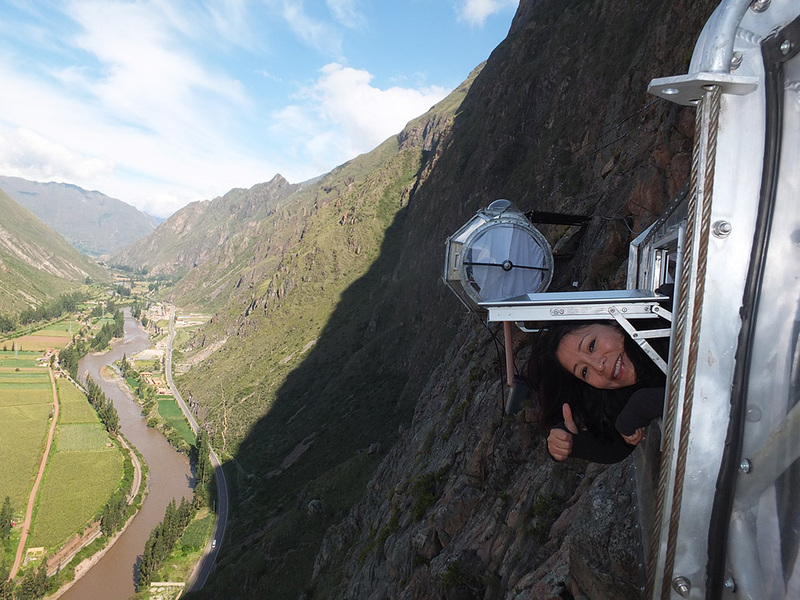 While the architects in Greece were only dreaming on a cliff-hanging house, the engineers in Cusco, Peru had already designed the Skylodge Adventure Suites in 2013. The lodging space is the brainchild of the architect couple Natalia and Ario, both trekking enthusiasts and adventure lovers. In fact, the one-of-a-kind aerospace aluminum suits are customised especially by Ario and his team of engineers. The project started way back in 2013 and has achieved immense success and popularity in the tourism industry, in just a couple of years. 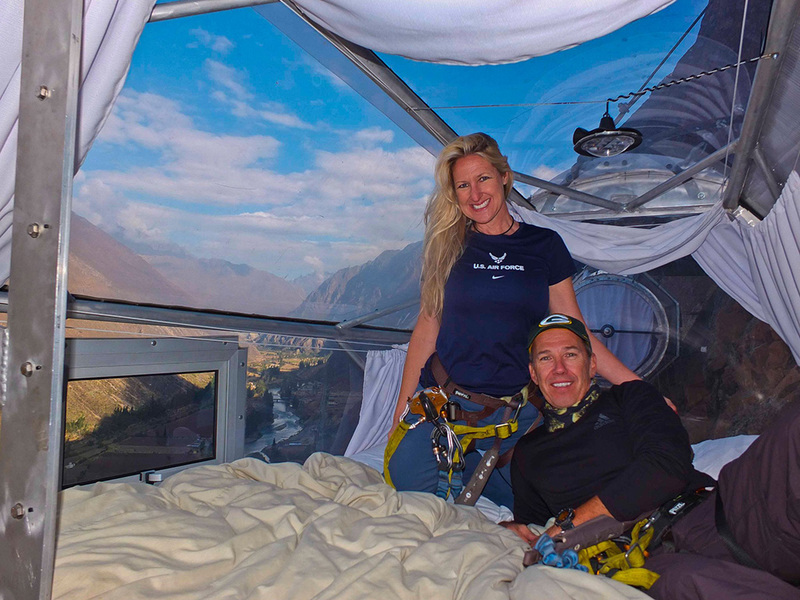 After all, it is not every day that one gets to sleep in high up in the glass cabin hanging in the middle of nowhere right!? At Skylodge, guests get to sleep in completely transparent cabins hanging from the cliff. Here you can share your surroundings with other inhabitants as well, there are three cabins, all placed at equal distances along the mountainside. Each of the vertical module hangings contains four beds, a common dining area, private bathrooms, and a balcony. These modules are made of aerospace aluminum and high resistance polycarbonate measuring about 24 feet in length and 8 feet in height and width. 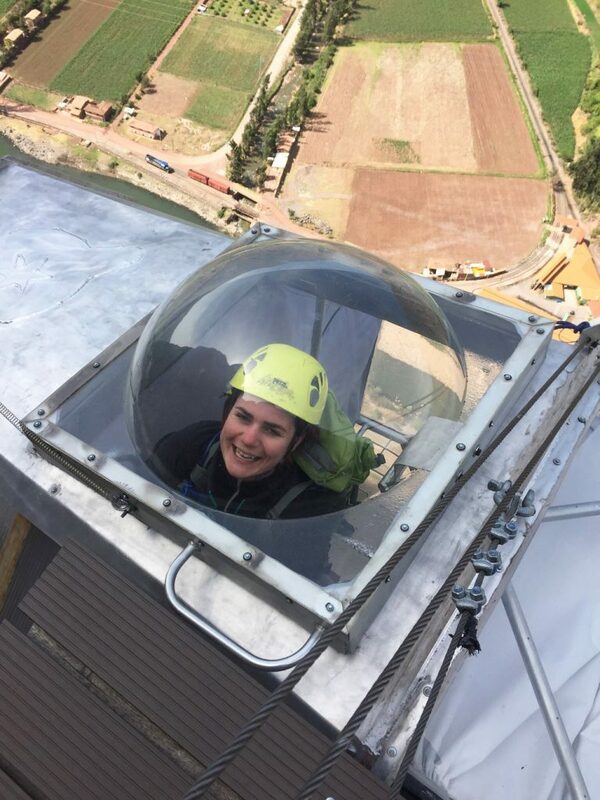 Each of the suites can be moved up and down using the harness and features six windows and four ventilation ducts for controlling the temperature. The cabins are large enough to accommodate four people comfortably; there are extra beddings available in case you need any. The entire framework is surprisingly spacious and stable. So, stop fretting, all your worries of falling into the deep gorges below are baseless. After the three hour hike through the trails, you arrive inside your pods through a porthole that is then closed off or sealed until the time you have to leave. The interiors are in sharp contrast with the surroundings, it looks pretty homely and warm unlike the foreboding environment outside. From the outside, Skylodge looks like a pretty ominous dangerous accommodation, though the interiors are a different story altogether. The insides are in sharp contrast with the exteriors, featuring cozy minimalistic décor. Each of the three modules, made of aerospace aluminum and premium grade polycarbonate,is quite stable and airy. 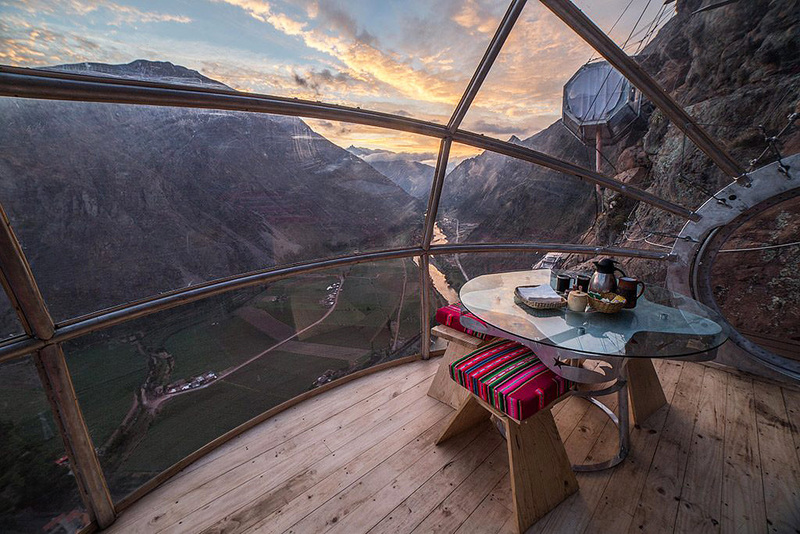 The glass wall surrounding the structure gives you a 360-degree panoramic view of the Peruvian landscape. It almost feels as if you’re suspended mid-air and supported just by a harness. Even the floors are transparent! Skylodge lives up to its name, it is literally a lodging space hanging high up in the sky among the clouds. Once inside the module, you can remove the harness and enter your suite through a portal situated on the ceiling. That’s the only exit from the pod, everything you need during your stay is provided in that little glass cabin. There are six windows and four ventilation ducts controlling the air pressure, temperature and humidity levels inside the cabin. The modules include four interior lamps, and a reading lamp, all powered by solar cells. The private bathing space is separated from the bedroom by an insulating wall. Even the bathrooms feature the glass walls, although there are curtains in there for privacy. 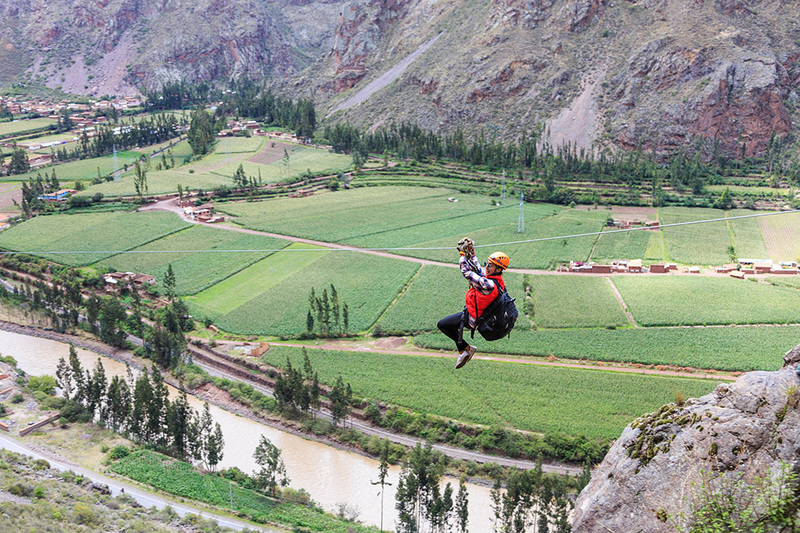 Skylodge Adventure Suites are part and parcel of your vacationing experience in Peru. Guests love staying indoors and simply bask in the stunning view surrounding them. There are three types of lodging spaces, namely Silves, Luna, and Miranda that can accommodate eight guests in total. Luna is a service model. There are two ways to get to Skylodge, one by crossing the hanging bridge Via Ferrata and the other is via the ziplines. Although there is nothing much you can do outside the cabins. Skylodge is perfect for inexperienced travelers; the professional trekkers might find the accommodation a bit too fancy for their liking. Once inside, you’ll hardly feel like you’re hanging off the side of a cliff. The structure is so well designed that you won’t even feel the cold air and harsh weather outside. Spend your days snuggled up under the covers (with a book or your partner), cook your own meals, and gaze around all you want, introspect and embrace the solitude of the place. 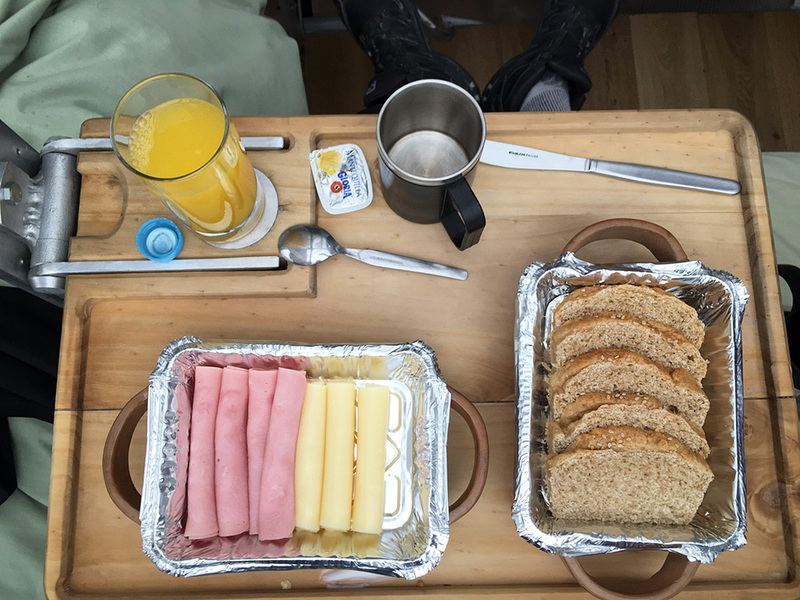 The guests are often accompanied by a local guide who even brings hot home-cooked meals right at your doorstep on special requests. Skylodge is a welcome change for people who are used to a rushed up and messy lifestyle of the cities. The craft portal on the ceiling gives you a wonderful view of the night sky; you can look at the stars right from the comfort of your bed. The entire cabin is powered by solar cells installed on the roof. Also, the bathrooms feature dry sinks and eco-friendly toilets. 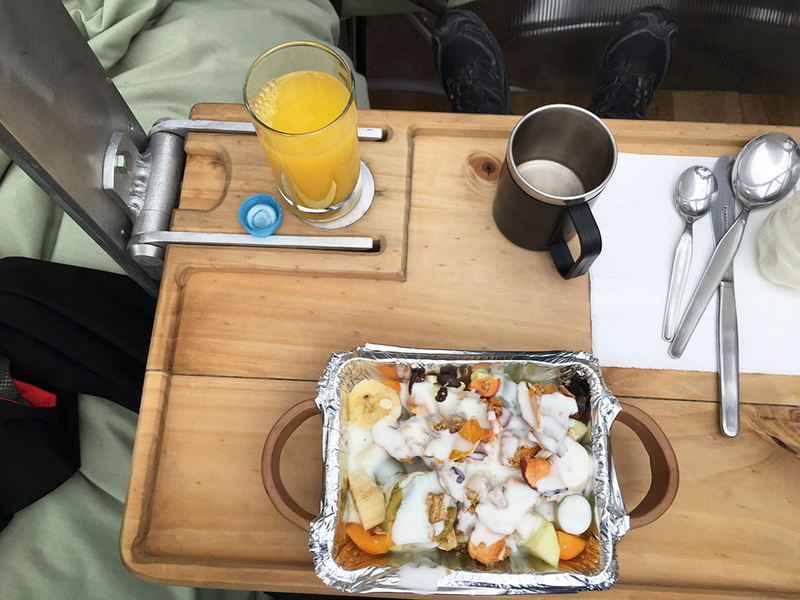 A personal guide will be accompanying you on your stay and will take care of all your need including bringing piping hot meals and wine on his backpack every day. 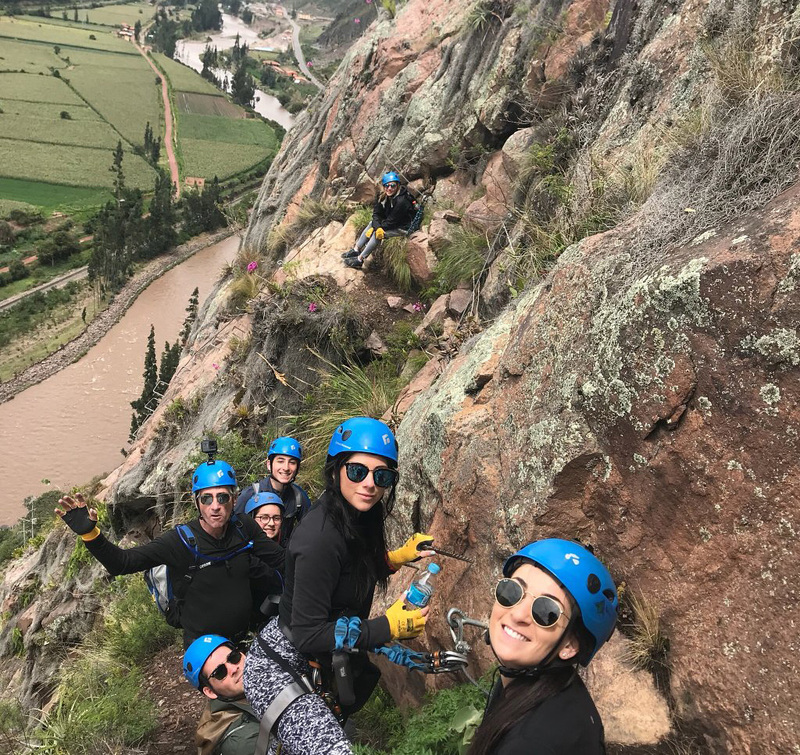 The Cusco city and Sacred Valley is often the starting point for hikers who want to enjoy the trail up to Machu Pichu. You can visit the nearest city of Cusco that is bustling with ancient architecture, busy market squares, local shops, and cafes. The tourism industry has only grown by leaps and bounds over the years and the Skylodge is just one fine example of its success. Considered to be the next big thing in the field of eco-tourism, the lodging space is a self-sufficient accommodation. The hanging house is an absolutely magical and mystical resort replete with all the luxuries whilst being enveloped in a primitive setting. So, this holiday season, chuck the sandy beaches and run for the hills. Skylodge Adventure Suites take you far away from the chaos of urban squalor deep into the misty mountains.